Sports Books - Sport Books: Catalog of books about your favorite sports. Welcome to Sportspool's Book Section. We've endevoured to bring you the absolute best selection of books to make your online shopping as easy as possible. Whether you are looking for something for yourself, or a gift for someone you know, we've got your book needs covered. 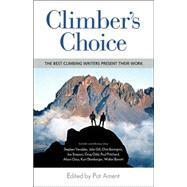 "The ultimate anthology for climbing enthusiasts, adventure readers, and anyone who appreciates excellent writing 'Climber's Choice brings together writings by more than 20 of the world's top climbing authors. 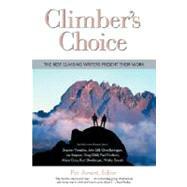 Editor Pat Ament--himself a world-class climber and critically acclaimed writer--asked his colleagues to select those pieces of which they are most proud. The result is an unprecedented convocation of men and women who have conquered many of the most forbidding mountains and rock faces in the world and who write about these experiences in ways that transfix even the nonclimbers among us. Contributors include Chris Bonington, Greg Child, Joe Simpson, John Long, Alison Osius, Steven Venables, Walter Bonatti, and Paul Pritchard, to name just a few. Among them they have won four Boardman Tasker awards, two Banff Mountain Literature awards, and an American Alpine Club award. Each essay features a photo of its author and the author's thoughts on the special significance of the piece, together with a context-setting introduction from Ament." 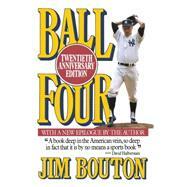 "Unavailable for several years, Ball Four, in this twentieth-anniversary edition, is sure to be discovered by a whole new generation of readers as more than a trailblazing sports book, but also a great book on the American dream fulfilled." 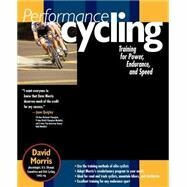 "From a U.S. Olympic coach, physiologist, and veteran cyclist comes 'Performance Cycling--the ideal training manual for the several million coaches, cyclists, and endurance athletes of all ages and abilities who want to rev up their RPMs and go for personal gold. With techniques utilized by national champions and Olympians, this unique, cutting-edge guide covers the proven ways to make any body perform for maximum endurance and toughness." "The Best Climbing Writers Present Their Work'Edited by Pat AmentNo other sport has produced such an extensive volume of fine writing as climbing. 'Climber's Choice brings together Chris Bonington, Greg Child, Joe Simpson, Stephen Venables, and 19more of the world's best climbing authors, who were asked to select those short pieces of which they were the proudest. The result is a convocation of men and women who have conquered many of the most forbidding mountains and rock faces in the world and who write about their experiences with an uncommon force that has the power to transfix, amaze, and occasionally terrify." "Although not everyone can swing like a pro, many can think like one. 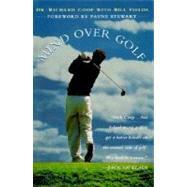 Dr. Richard Coop, a leading sports psychologist, shows how golfers can improve their game with mental toughness."